The new weapon is the first of its kind in the Destiny series. It always feels like a holiday whenever a new Exotic gets added to Destiny 2. And the newest addition to the stable of rare weapons is no different. 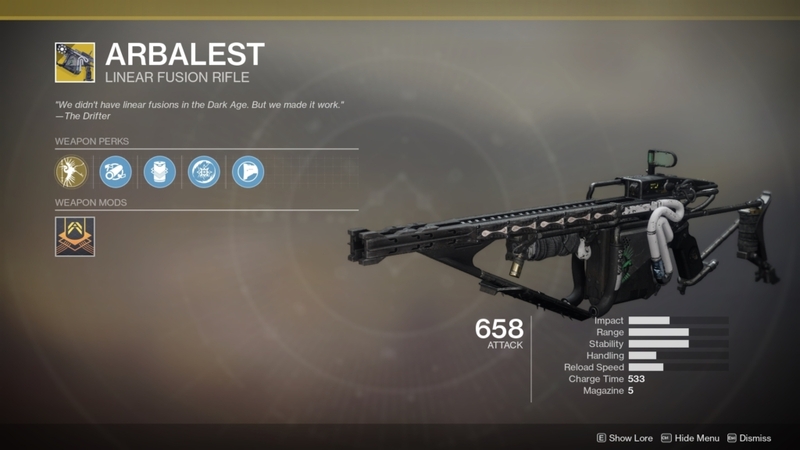 Arbalest is finally available with the Destiny 2 Revelry event, after first getting spotted in the Collections tab when the Season of the Drifter began in March. But how do you get the Arbalest in Destiny 2? Well, that’s what our guide is here to help answer. Let’s take a look! Here’s the Lore: What’s the Story of Destiny 2 – Season of the Drifter? Arbalest is, as previously mentioned currently only available as a reward in The Revelry. That’s the new Destiny seasonal event that celebrates the joy of spring. The Revelry runs from April 16 to May 7. Beyond that, though, it’s unclear when and if the Arbalest will ever be available again. 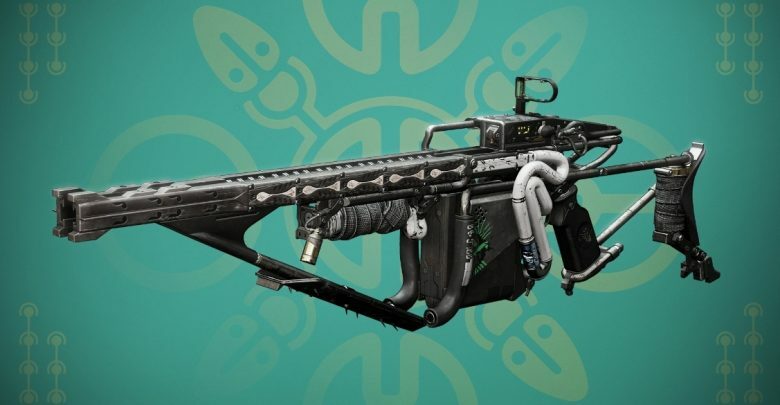 Although Bungie made it clear the studio is willing to bring back old Exotic quests, as in the case of the Thunderlord Exotic LMG. Thorn will probably go down as the star Exotic weapon in the Destiny 2 Season of the Drifter, but Arbalest is pretty damn cool in its own right. 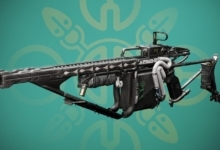 It is the very first Kinetic fusion rifle in Destiny history. So, if you really wanted to, you can now wield a fusion rifle in each of the game’s three weapon slots. Arbalest can be earned by completing seven Revelry Triumphs, unlocking the Party Hard triumph and 300 Reveler’s Essence back at the Tower. Here are the triumphs you need to complete. For more info, head on over to our Revelry guide! Party Hard – Complete any seven Revelry 2019 Triumphs. Spring Cleaning – Clear 50 simulation branches in the Verdant Forest. 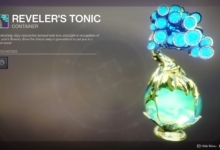 Verdant Light: Competitive – During the Revelery 2019, generate 200 Orbs of Light in the Crucible or Gambit while affected by Revelric Light. Verdant Light: Cooperative – During the Revelry 2019, generate 200 Orbs of Light in strikes or raids while affected by Revelric Light. 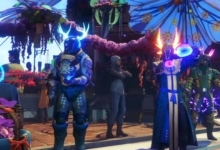 Verdant Light: Light – During the Revelry 2019, generate 200 Orbs of Light in the Verdant Forest or in any Black Armory forge while affected by Revelric Light. Spring Hunt – During the Revelry 2019, defeat three bosses in one run of the Verdant Forest. Budding Fashion – During the Revelry 2019, defeat 20 bosses in the Verdant Forest while wearing at least four pieces of the Inaugural Revelry armor set. Super Celebratory – During the Revelry 2019, defeat 150 enemies using Super abilities in any activity. Fireworks! 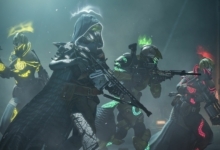 – During the Revelry 2019, land 100 grenade final blows in the Crucible, Gambit, or strikes. 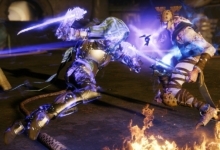 Melee Mayhem – During the Revelry 2019, land 100 melee final blows on enemies in the Verdant Forest, any Black Armory forge, or in raids. A Bountiful Spring – Complete 50 daily and weekly bounties for Eva Levante during the Revelry. You can get Reveler’s Essence by completing Verdant Forest runs! We’ve seen returns of 10-25 Essence for a three boss run. Not bad considering you have three weeks to unlock the Arbalest! After you complete Eva’s first mission, she’ll also offer daily Revelry bounties which reward 25 Essence each! You can complete up to five of these each day. Compounding Force – Fires slugs that cause massive damage to elemental shields of enemy combatants. Extended Barrel – Weighty barrel extension. Increases range, decreases handling speed, moderately controls recoil. Projection Fuse – Distance optimizations. Increases range. Disruption Break – Breaking an enemy’s shield with this weapon makes them more vulnerable to Kinetic damage for a brief period. Composite Stock – This weapon has a versatile dual-purpose stock. Slightly increases stability and handling speed.